I started with a trip to the Thrift Store. 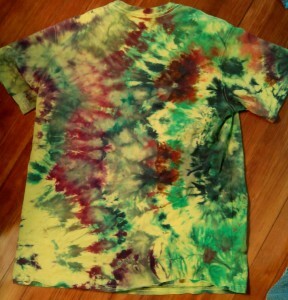 I found 6 shirts and added 2 that I already had. 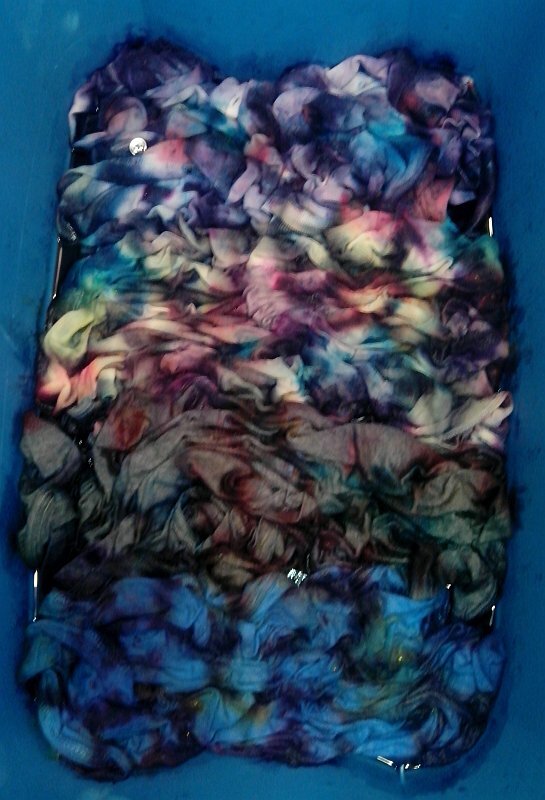 Four shirts in each tub was a bit crowded, but it would have been worse with bigger shirts. 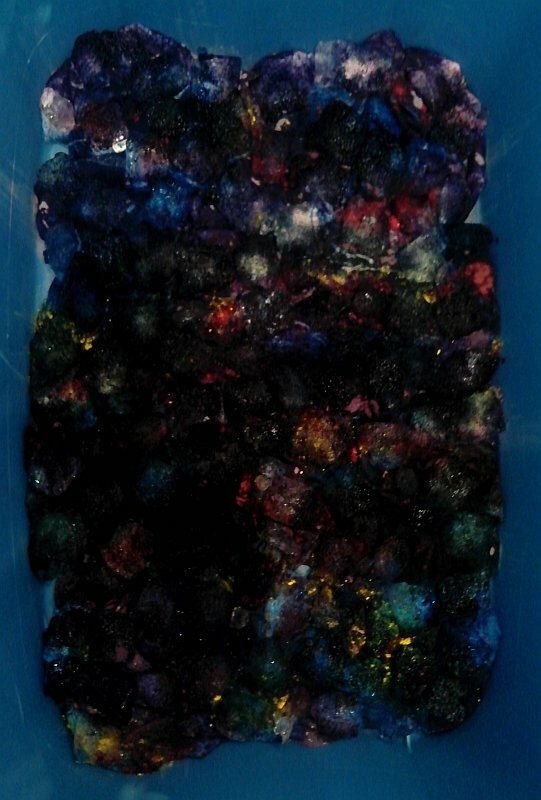 You can see that there are large gaps with no dye. 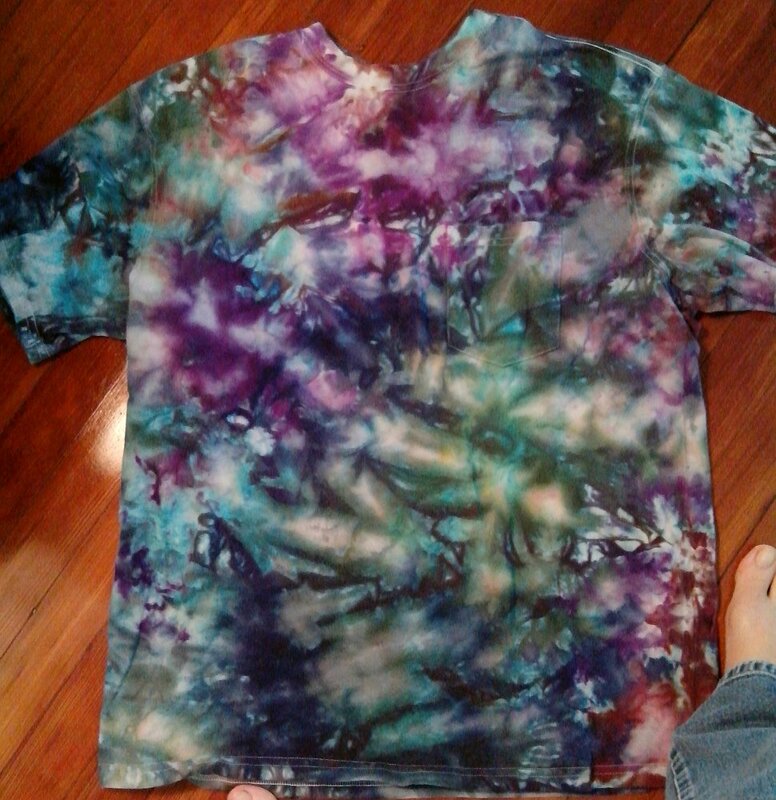 I should have put more dye. I started around 10pm and let them sit overnight, about 11 hours. 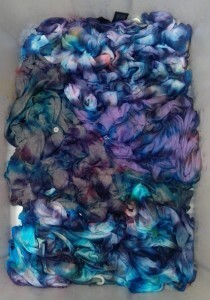 And the fun was not over! 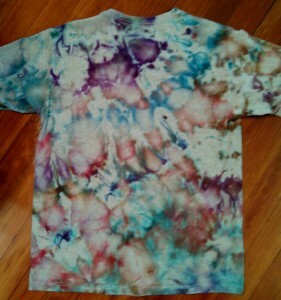 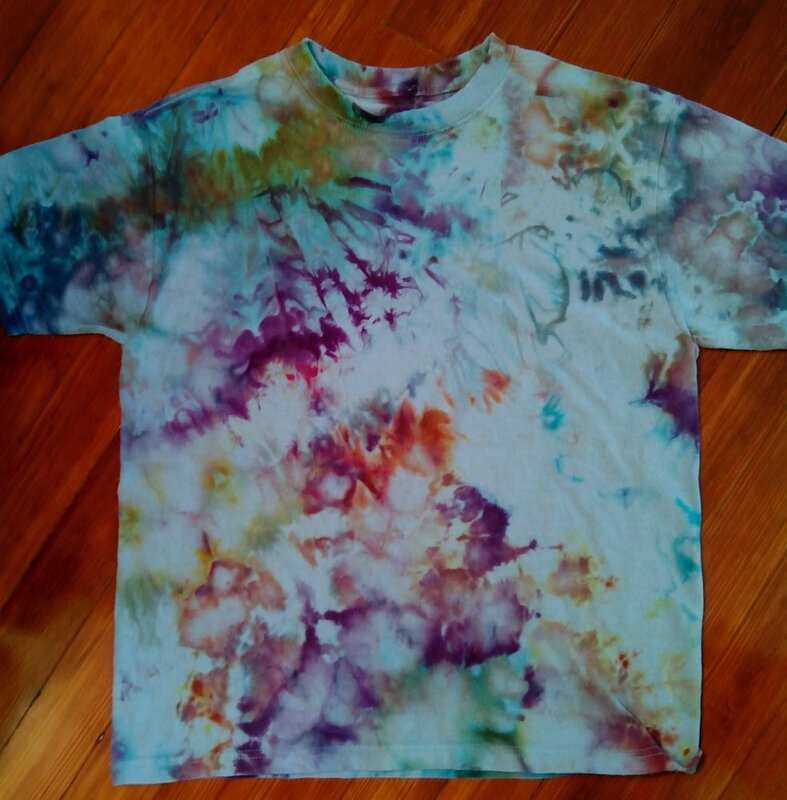 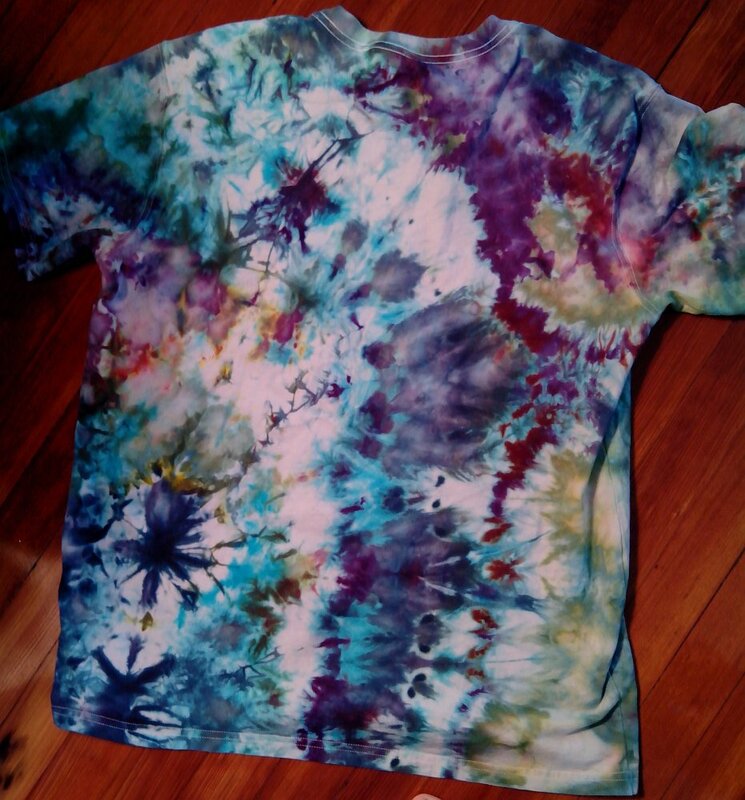 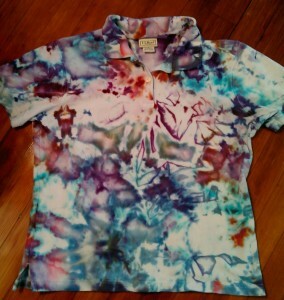 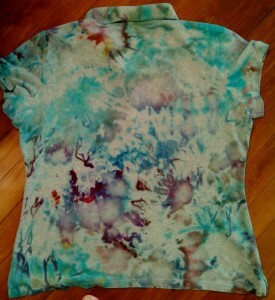 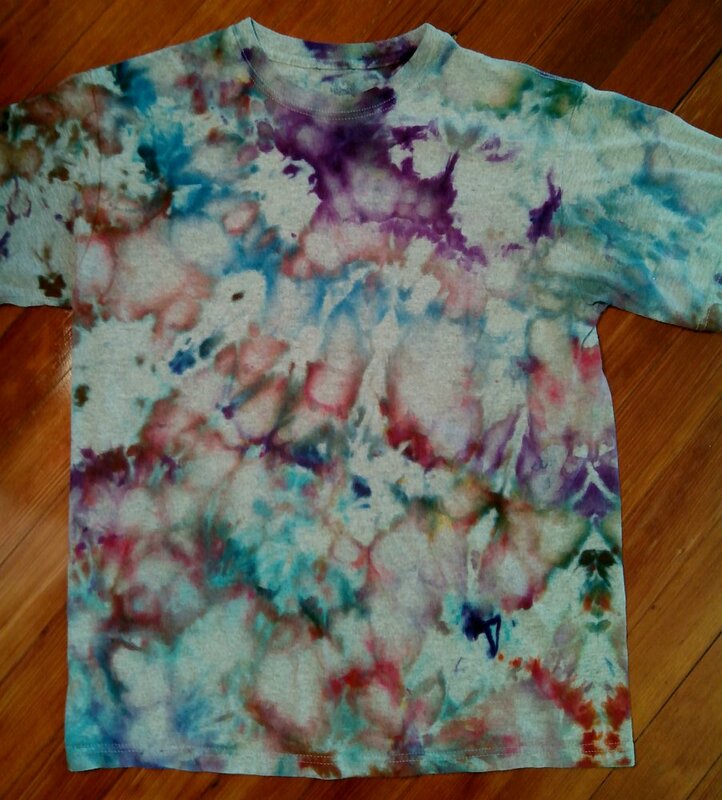 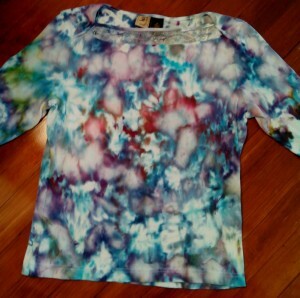 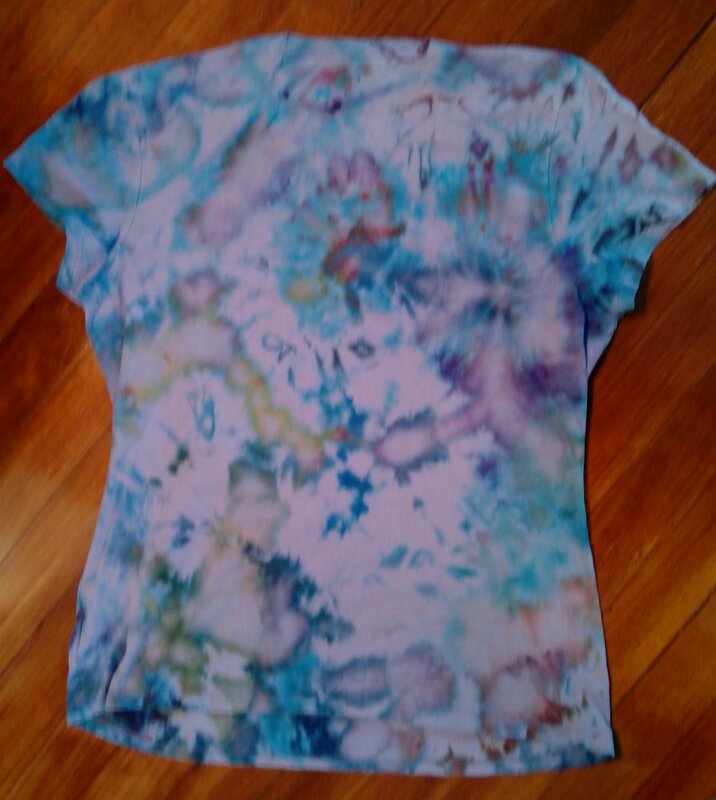 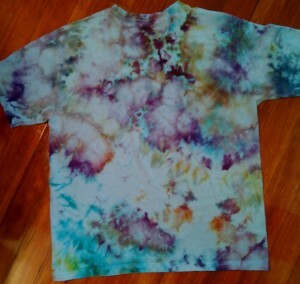 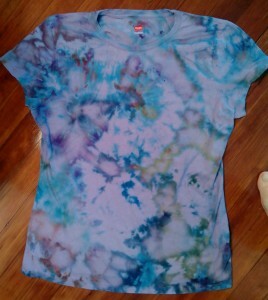 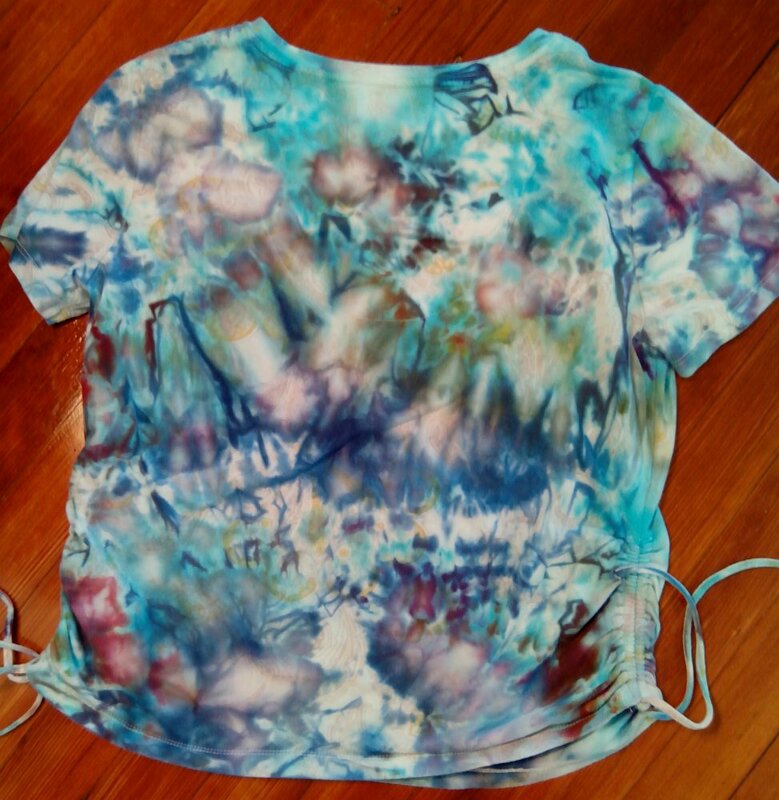 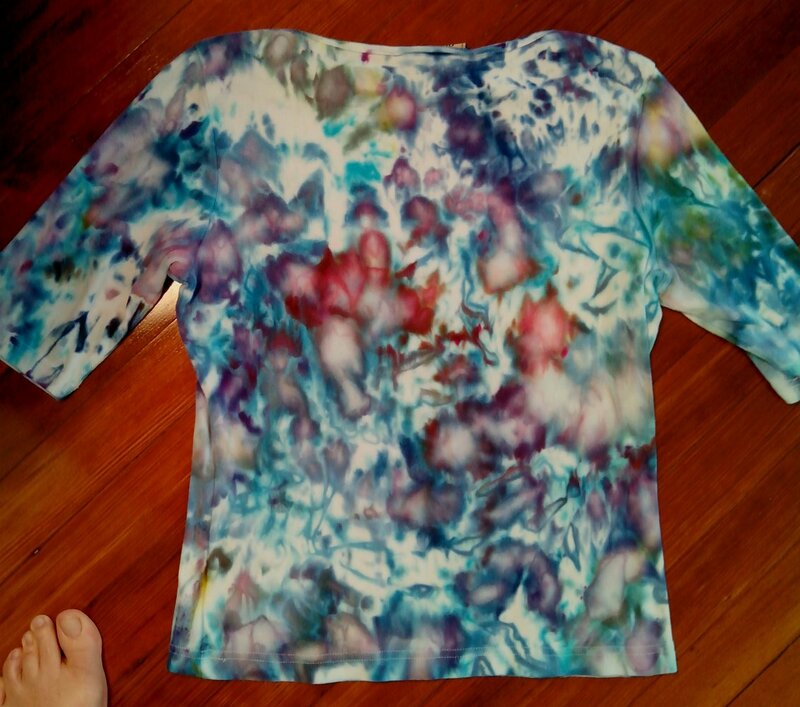 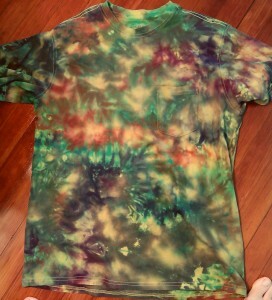 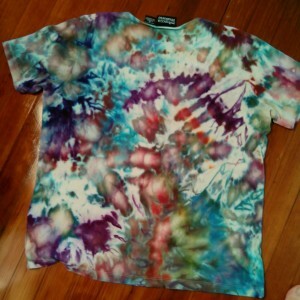 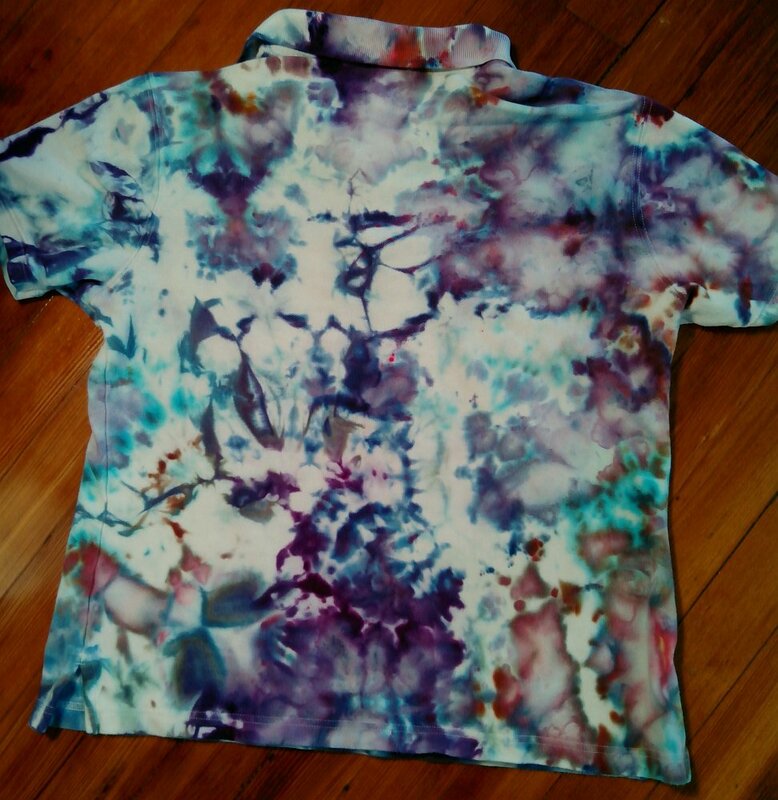 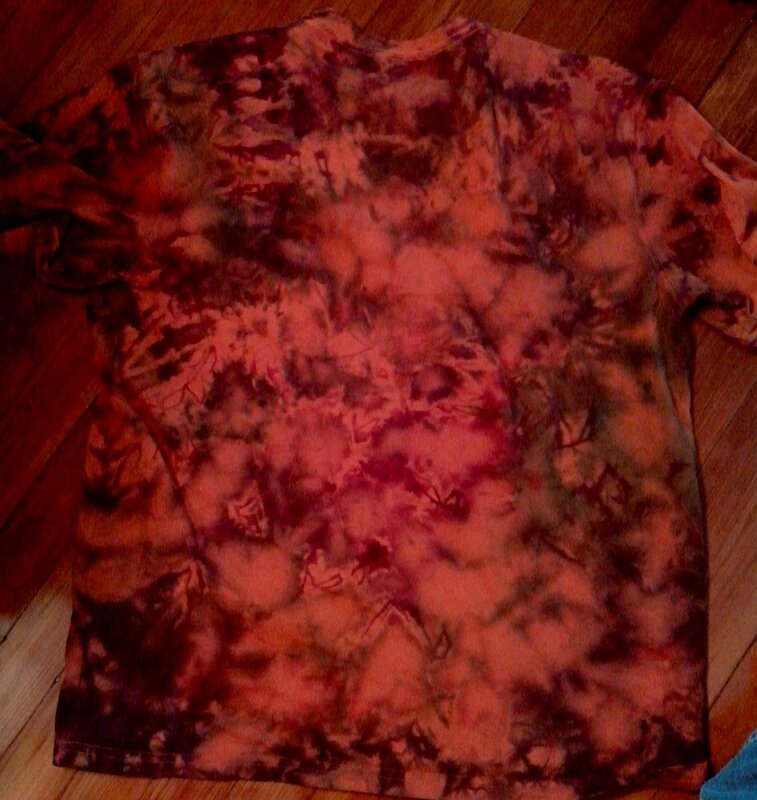 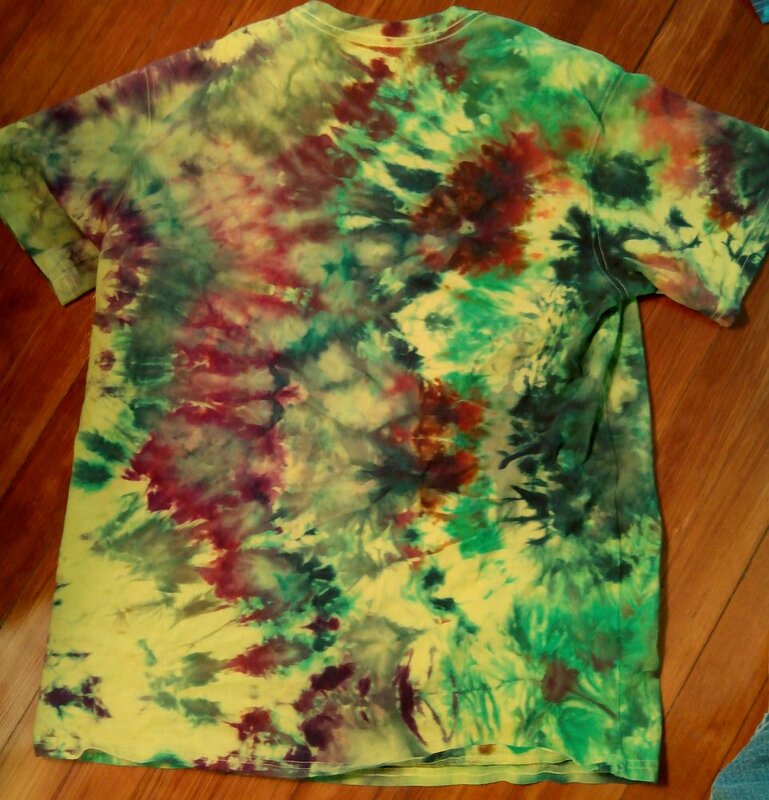 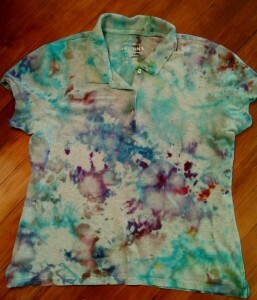 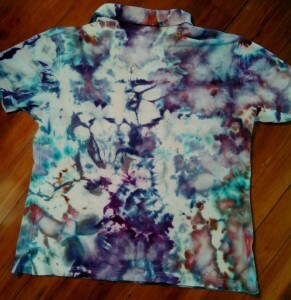 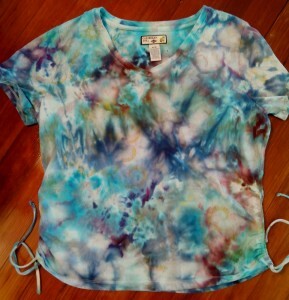 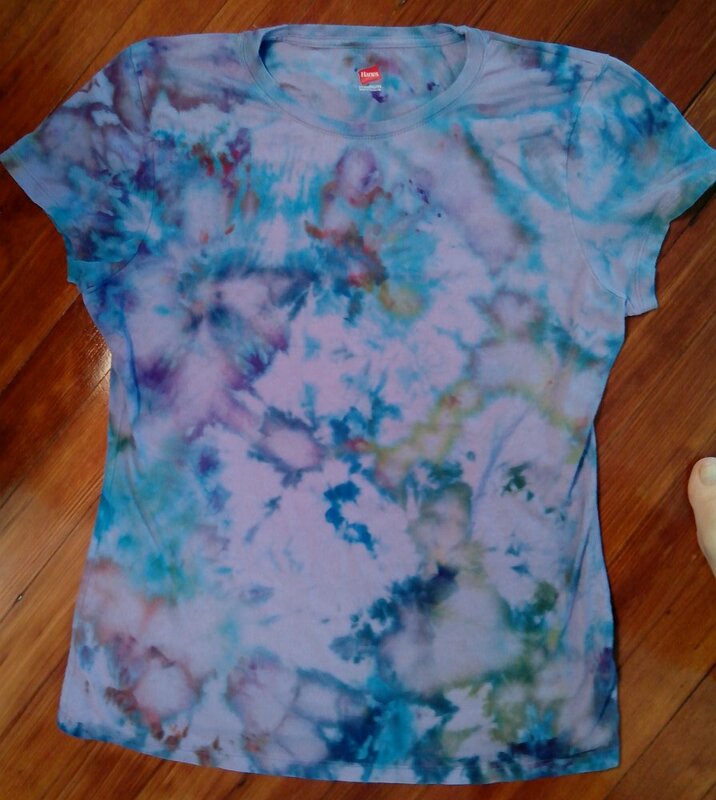 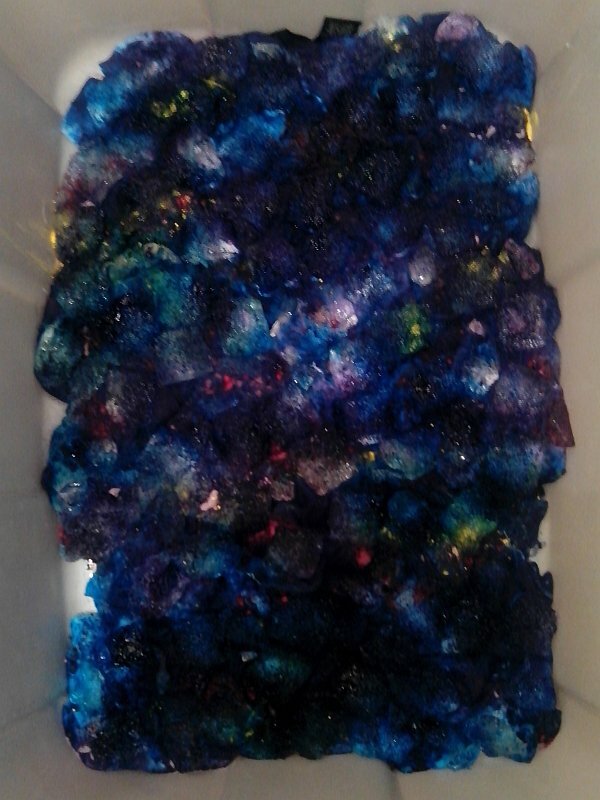 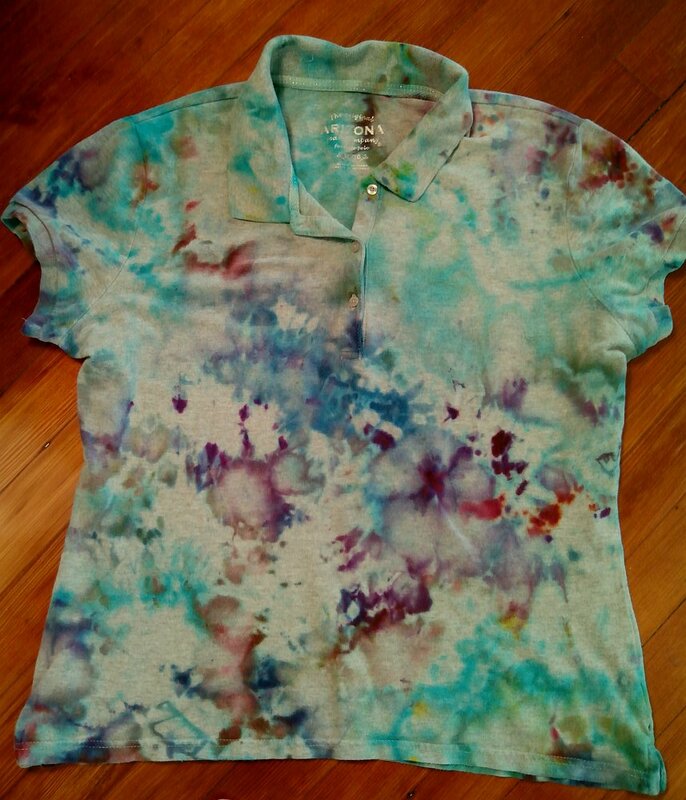 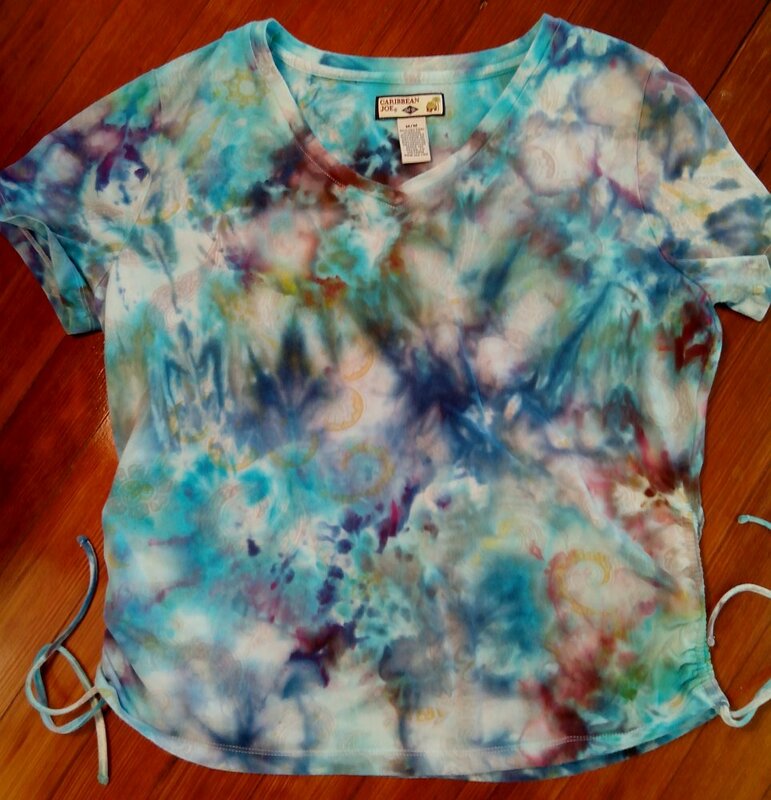 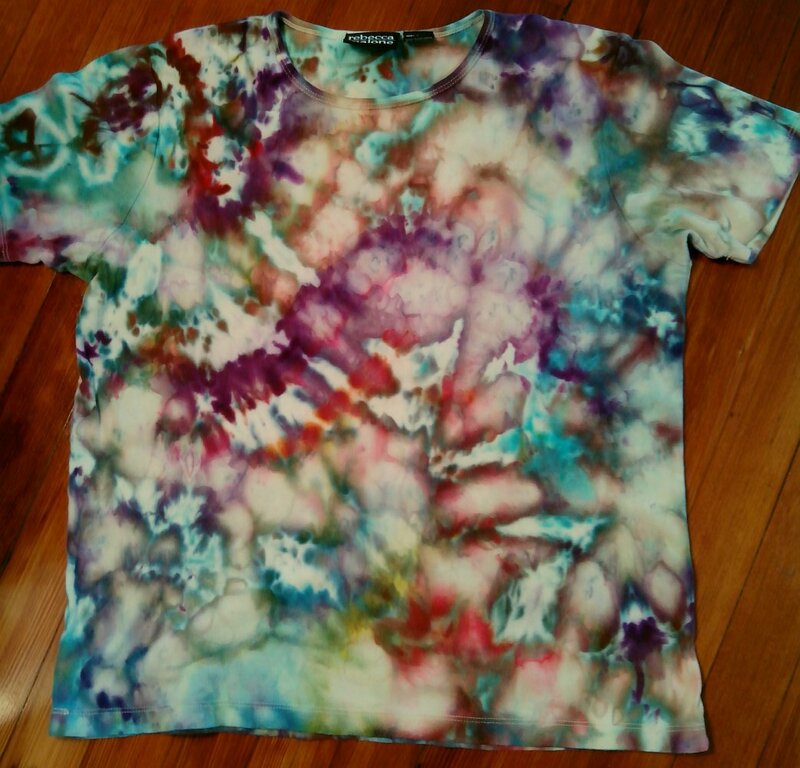 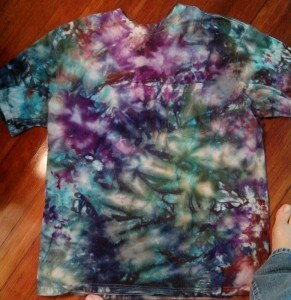 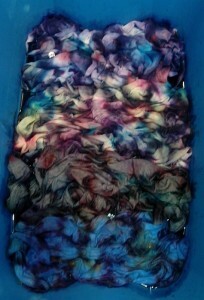 JJ and Steve decided they wanted some shirts dyed. They went and bought new shirts, and I started the dye about the same time as the previous night.